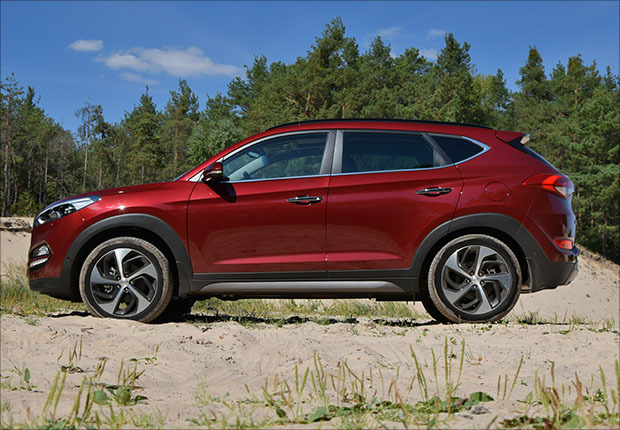 But while Hyundai is undoubtedly a popular brand here in Australia, what is it about the 2017 Tucson that makes it such an appealing choice for new car buyers? Buyers of a new Tucson have four models to choose from. All four are the same size and height with the Highlander having a better ground clearance. All four also have roof rails while the Elite and Highlander have a few extra bits of chrome here and there. Of course, there are a few more bells and whistles in the Elite and Highlander’s interiors, but we’ll get to that later. There are three engines to choose from. Two petrol and one diesel. The 2.0 GDi 2WD is a front wheel drive 121kW engine delivering 203Nm of torque while the 1.6 T-GDi AWD has a maximum power of 130kW and delivers 265Nm of torque. Fuel efficiency for both petrol engines is in and around 7.7-7.9L/100km. For all you diesel lovers out there, the Tucson can also come with a 2.0 CRDi AWD engine that delivers 400Nm of torque, which is pretty impressive for an SUV in its class. Fuel efficiency for the diesel engine ranges from 6.4-6.8L/100km depending on your choice of wheels. Tucsons have a maximum towing capacity of 1600kg across the range. As with many SUVs and utes on the market today, you get an option of a six-speed manual or a 6-speed automatic. The 1.6T-GDi also has a seven-speed DCT (dry clutch) option that allows for sequential manual mode. All are pretty smooth and easy to drive which is no real surprise. The interior of the Tucson is a standard Hyundai interior not dissimilar to the i30. Now while this doesn’t sound too exciting, it’s worth noting that car interior standards are quite high these days, so it’s still nice and comfortable in there. The Active is a bit more on the basic side but still has that modern feel, and plenty of little conveniences such as steering wheel mounted cruise, audio, and phone controls. All models are Apple CarPlay and Android Auto compatible with Bluetooth phone connectivity as standard. The centre touch screen controls the audio and media options and connects with the rearview camera while in the Elite and Highlander it doubles as your SatNav screen. 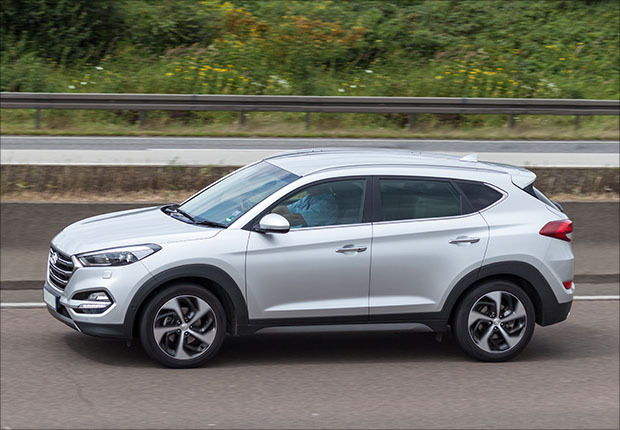 After the furor surrounding their 4-star Safety rating back in 2015, Hyundai upped their game and brought the latest version of the Tucson up to code. It now boasts a 5-star rating from ANCAP. Highlander models also feature Lane Assist, Autonomous Braking, Front Collision Warning, and Emergency Stop Signal. Tricking your new Tucson out with extras is pretty easy as Hyundai have a whole range of accessories to suit drivers from all walks of life. These include simple items like auxiliary cables and iPad holders to bigger conveniences like Roof pods. This is where Hyundai beats the competition. Every Hyundai comes with a 5-year unlimited kilometre warranty. And if you think that’s good, you also get the Hyundai Lifetime Service Plan which can be transferred to new owners should you sell the car. You can choose your plan and pre-pay for 3-5 years of servicing, and they’ll even allow you to pay by monthly installments. Great peace of mind right there. Prices for the Tucson range from $28,590 for the entry-level Active model right up to the top of the range Highlander which fully loaded comes in at $47,450. Bear in mind that the Highlander does come with quite a lot of extra safety features and comforts (along with 19-inch rims). Whether you decide to go with a Tucson or something a little more rugged like a Toyota HiLux, let Stratton sort out your finance for you. We’ll source the best car finance package out there and make sure that it perfectly suits your means and needs. So give us a call today on 1300 STRATTON (1300 787 288).